Choose your listing methods and strategies with a bias towards controlled listing stock. Merge that approach and strategy into your listing presentations and client conversations. Give the client plenty of reasons to understand why an exclusive listing is an essential part of resolving their property challenge. 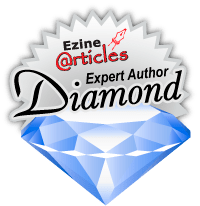 If the client wants real momentum and results with their listing, then exclusivity is nonnegotiable; they just need to know that and appreciate that fact. Put exclusivity at the centre of your property presentation and listing pitch. Build some stories and some market evidence around exclusivity and the marketing approaches associated with that. To convert more exclusive listings, the client has to see the value in the agent and the brokerage. The client has to believe that the chosen agent or broker can produce the necessary marketing momentum and target market coverage; they have to see the link to exclusivity as part of that process. Competing listings – when you look into your local area, you will find a good selection of competing listings. Assess the strategies that are being used currently when it comes to those listings and those assets. How can you position your listing stock to improve levels of enquiry and inspection opportunities? That question needs to be answered in each of your property presentations. Give the client some specific strategies and methods of approach to use when it comes to positioning their property against competitive listings. Target marketing – in taking the exclusive listing to the market, make some specific recommendations regards target marketing and the best methods of sale or lease as the case may be. 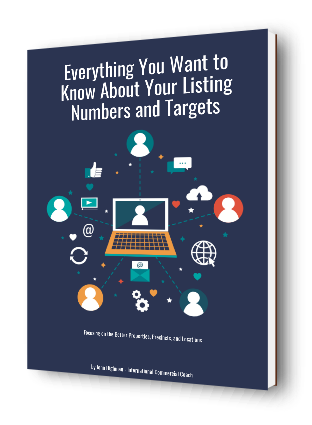 Develop a targeted approach with all of your exclusive listings. Show the client how your dedicated focus into the targeted segments will be important to their listing momentum and property challenge. Specialized marketing – whilst you will have many different marketing tools available at your disposal, use some of those tools comprehensively and thoroughly in a specific way. Try to make your approaches to property marketing campaign quite specific and direct. Explain to the client how your marketing methods and promotional strategies are more important to them right now with their current property challenge. Existing listings – with all of the existing listing stock that you currently have, there can and should be plenty of enquiries coming in to your brokerage currently. Optimize that enquiry. That enquiry base can be referred across the various listings of appropriate location, and those with the levels of improvement or cash flow opportunity. Remember to refer your clients and your prospects to the other listings that you have on your books currently. Learn how to match your listings to the enquiry base. Track all of that matching process in your database. Get to know the timing of property activities and changes for all of your VIP clients. Business segments – work through the business segments in your town or city. Some of those businesses will be more active than others when it comes to property change, expansion, or contraction. A change in economic sentiment will flow through to business activity. Stay in close contact with the business proprietors for the region, and canvass all of the businesses at least twice yearly in your listing territory. Business changes – it directly follows that business changes will occur from shifts in economic sentiment. Monitor the local economy as well as the regional economic sentiment. Understand how that economic activity will flow through to the local businesses and the tenants in your location. Create conversations as part of your prospecting model so that you can see where change can lead to opportunity. Property developments – property developments will come and go from the market based on the factors of supply and demand. Get to know a few property developers for that very reason. At the right time and with the right parcel of land, a new property development is quite possible and can lead to major commission opportunities over time through multiple transactions. If you are going to tap into this lucrative part of the property market, your professional services and market coverage will be the factors of leverage that property developers require. Your services need to be more superior than that of your competition. So there are some good things that you can do here when it comes to listing more commercial properties in your location. Logically and methodically canvass all of the property owners and the businesses throughout the zone. Over time the conversations that you create and repeat will eventually turn into listing opportunities. You want the right people in commercial real estate to remember you at the right time. Position yourself as the industry expert that everyone needs for the location.